Greek officials say that the country will not be able make a €1.5 billion repayment to the International Monetary Fund that comes due on June 5th if there is no deal with its international creditors by then. Greek Prime Minister Alexis Tsipras has been in talks with French President Francois Hollande and German Chancellor Angela Merkel to try to unlock the last €7.2 billion tranche of the Greek bailout funds it needs to pay the IMF. While significant progress has reportedly been made, no agreement has been reached. Minutes from the April Fed meeting released this week were generally in line with expectations. Participants said that a hike in June was unlikely, but did not provide any further guidance on the likely timing of the first rate increase. While they noted concerns around weakness in consumer spending, the outlook for exports and underperformance in the energy sector, overall growth is expected to rebound in the near term. In a speech later in the week, Fed Chair Janet Yellen also downplayed the 1st quarter weakness and said that a rate hike will be appropriate at some point this year if the economy continues to improve in line with her expectations. In a calm week, equity markets ended up mixed with both the S&P and Dow making New All Time Highs during the week. The S&P 500 gained 0.21%, closing at 2,126. Meanwhile, the Dow Jones decreased by 0.15% and closed at 18,232. Year to date, the S&P is up 4.11% and the Dow is up 3.33%. Yields in the Treasury markets ended the week up moderately. The 10 year Treasury bond now yields 2.21% and the 5 year Treasury bond yields 1.57%. The spot price of WTI Crude Oil was virtually flat this week, closing at $59.91 per barrel. In 2015, WTI Oil prices are now up 6.49%. The spot price of Gold fell by 1.54% this week and closed at $1,205.90 per ounce. Year to date, gold prices are up 1.82%. Initial jobless claims rose a bit from last week and remain quite low, coming in at 274,000, above consensus expectations of 270,000. 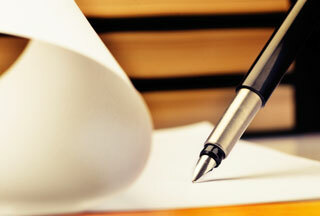 The Labor Department noted that no special factors affected claims this week. The four week moving average for claims now stands at 266,250, the lowest it’s been since April 2000. Housing starts rose 20.2% in April, beating consensus estimates of 9.6%. Both single-family (+16.7%) and multifamily (27.2%) starts posted large gains. After 1st quarter weakness, the April jump left both total and single-family starts at new highs for the recovery. The headline Consumer Price Index (measure of inflation) rose 0.1% in April, in line with expectations. Core prices (ex-food and energy) rose 0.26%, slightly beating expectations of 0.2%. Inflation has been picking up a bit from its previously sluggish pace, over the past three months, core prices have risen at an annualized 2.6% rate. In the iconic movie, Forest Gump, the title character made a very wise investment in ‘some kind of fruit company’ that turned out to be Apple Computers. If you were to have walked out of the theater on its day of release (July 6, 1994) inspired to follow his lead and invested $1,000 in Apple stock, you could have purchased 1,064 shares at a split adjusted price of $0.94/share. With a closing price of $132.54 on May 22nd and assuming that you reinvested the dividends you received, you would have turned that $1,000 into $144,214.56, a total return of 14,322% or a 27% annual return. Our O2 Online Banking Demos include an overview plus individual tasks for those looking for specific information. Click below to watch a video on how to navigate through your main screen. 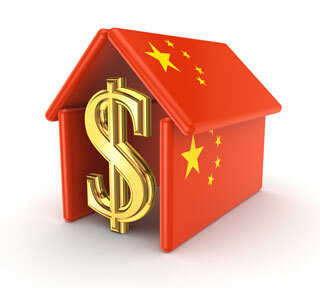 China’s central bank continued its easing measures as it cut its benchmark lending rates by 0.25%, down to 5.1%. The one-year benchmark deposit rate was also cut by 0.25%, down to 2.25%. This was the third reduction of rates since November. As economic growth cools to levels not seen since the global financial crisis, China’s central bank has been quite active in an effort to avoid a ‘hard landing’ for their economy. This week, the Senate voted to hold a debate on a bill that would give President Obama the ability to ‘fast-track’ trade deals such as the proposed Trans-Pacific Partnership (TPP). The measure does still face much opposition in the House due to concerns about currency manipulation, the freedom it gives to presidents and the potential effect on American jobs. The TPP would create a free trade zone covering 40% of the world economy, linking the U.S. with many Asia-Pacific countries including Japan, Malaysia and Singapore. Conclusion of the agreement has been held up for months as the political process in the U.S. has dragged somewhat expectedly, but if it is finalized in its current form, the TPP would be the biggest trade deal since NAFTA. In another choppy week, equity markets ended up in positive territory. The S&P 500 gained 0.37%, closing at a New All-Time High of 2,123. Meanwhile, the Dow Jones increased by 0.52% and closed at 18,272. Year to date, the S&P is up 3.88% and the Dow is up 3.44%. Yields in the Treasury market were quite volatile this week but ended mostly unchanged. The 10 year Treasury bond now yields 2.15% and the 5 year Treasury bond yields 1.47%. The spot price of WTI Crude Oil rose this week, gaining 0.79% and closing at $59.86 per barrel. In 2015, WTI Oil prices are now up 7.57%. The spot price of Gold rose by 3.05% this week and closed at $1,224.63 per ounce. Year to date, gold prices are up 3.40%. Initial jobless claims dropped a bit from last week and remain quite low, coming in at 264,000, below consensus expectations of 273,000. The Labor Department noted that no special factors affected claims this week. The four week moving average for claims now stands at 271,750, the lowest it’s been since April 2000. Headline retail sales were flat in April, disappointing against estimates of 0.2% growth. Some of the weak areas were auto sales (-0.4%), electronics (-0.4%) and furniture (-0.9%). Legendary money manager and touted ‘Bond King’ Bill Gross wrote an article for the 11/26/2012 issue of Time magazine entitled, “Why Stocks are Dead” in which he provided his gloomy long term stock market forecast. From the date the article was published through the close on Friday, the S&P 500 has had a 58.95% total return, or 20.68% annualized. Federal Reserve Chair Janet Yellen attended an economic conference along with International Monetary Fund Managing Director Christine Lagard and shared some of her thoughts on the stock markets. Yellen said, “I would highlight that equity market valuations at this point are generally quite high. There are potential dangers there.” Although she noted the Fed was not seeing the hallmarks of a bubble, she did say that the central bank was watching the situation closely. Yellen had previous tried her hand at equity market calls in July 2014 when in her Congressional testimony she declared that many social media and biotech stocks were overvalued, only to see those sectors continue to rally to this day. Russian President Vladimir Putin ratified an agreement to set up a $100 billion reserve fund for the BRICS nations (Brazil, Russia, India, China and South Africa). The fund looks to reshape the Western-dominated financial system that is centered on the IMF and World Bank. China would provide the largest share to the fund at $41 billion, while Russia, Brazil and India will provide $18 billion each with South Africa pitching in $5 billion. 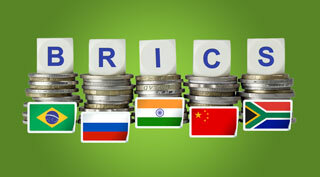 Following Putin’s approval, the BRICS bank is on track to be finalized by the end of the month. In quite another choppy week, equity markets were up on the week following a Friday rally on the monthly jobs report. The S&P 500 gained 0.44%, closing at 2,116, while the Dow Jones increased by 1.07% and closed at 18,191. Year to date, the S&P is up 3.48% and the Dow is up 2.89%. Yields in the Treasury market were quite volatile this week but ended with only a modest rise. The 10 year Treasury bond now yields 2.15% and the 5 year Treasury bond yields 1.50%. The spot price of WTI Crude Oil rose this week, gaining 0.43% and closing at $59.41 per barrel. In 2015, WTI Oil prices are now up 6.76%. The spot price of Gold rose by 0.84% this week and closed at $1,188.39 per ounce. Year to date, gold prices are up 0.34%. Initial jobless claims edged up from last week but remain quite low, coming in at 265,000, below consensus expectations of 280,000. The Labor Department noted that no special factors affected claims this week. The four week moving average for claims now stands at 279,500, the lowest it’s been since May 2000. The April jobs report showed a gain of 223,000 nonfarm payrolls, lower than expectations of 228,000. The prior two months figures were revised downwardly by a combined 39,000, bringing the three month average for job gains to 191,000. The headline unemployment rate declined by 0.1%, down to 5.4%. The labor force participation rate ticked up by 0.1%, to a still historically low 62.8%. Average hourly earnings rose just 0.1% vs. consensus estimates of 0.2%. The 12 month increase in average wages now stands at 2.2%. According to the Census Bureau, at the end of the 1st quarter of 2015, of the 116.2 million households in the United States, 74.0 million were homeowners and 42.2 million were renters. The 63.7% homeownership rate is the lowest nationally since 1990. The April Federal Reserve statement given this week was roughly in line with market expectations. The Committee acknowledged that economic data recently has been somewhat disappointing but was sure to mention several temporary factors they believed were causing the weakness. It is widely believed that a June rate hike has been taken off the table given the below target inflation data which continues to track below 2%. After months of urging allies not to join the China-led Asian Infrastructure Investment Bank, the Obama administration now says the new bank could be a promising development. During his press conference with Japanese Prime Minister Shinzo Abe, Obama said the bank could be very positive if it is able to overcome the issue of lack of transparency. Despite 47 nations gaining membership to the AIIB, the U.S. and Japan remain the only two major economies that have not sought to join. In quite a volatile week, equity markets were down modestly. The S&P 500 fell 0.42%, closing at 2,108, while the Dow Jones decreased by 0.31% and closed at 18,024. Year to date, the S&P is up 3.03% and the Dow is up 1.81%. Yields in the Treasury market rose pretty significantly this week. The 10 year Treasury bond now yields 2.11% and the 5 year Treasury bond yields 1.50%. The spot price of WTI Crude Oil rose this week, gaining 3.53% and closing at $59.17 per barrel. In 2015, WTI Oil prices are now up 6.33%. The spot price of Gold was virtually unchanged this week and closed at $1,178.80 per ounce. Year to date, gold prices are down 0.47%. Initial jobless claims fell from last week, coming in at 262,000, below consensus expectations of 290,000. The Labor Department noted that no special factors affected claims this week. The four week moving average for claims now stands at 283,750. The first estimate of U.S. GDP growth in the 1st quarter showed disappointing growth of 0.2% vs. estimates of 1.0%. Harsh weather was one of the causes of the lackluster growth, something that was seen last year at this time when GDP came out negative. 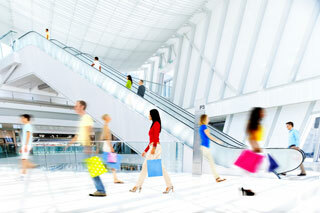 With energy prices down, consumer spending posted a larger than expected 1.9% gain. The Case-Shiller home price index rose 0.93% in February, beating consensus expectations of 0.7%. All 20 cities in the index saw prices increase on the month and have now risen 5.0% in the past year. According to the Tax Policy Center, the top 1% of US taxpayers from tax year 2014 are expected to pay 45.7% of all federal income tax collected by the IRS this year, up from 43% last year. The bottom 60% of taxpayers are estimated to pay less than 3% of federal income taxes for 2014.